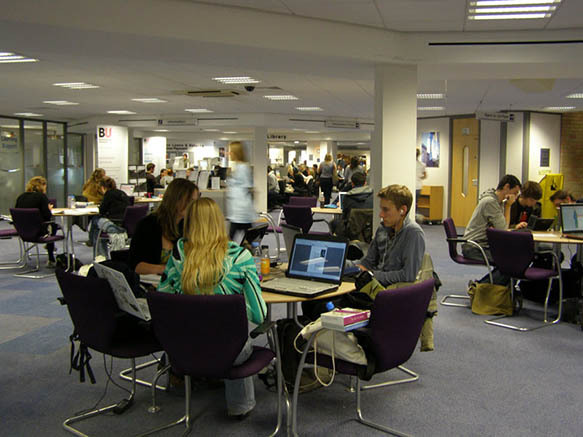 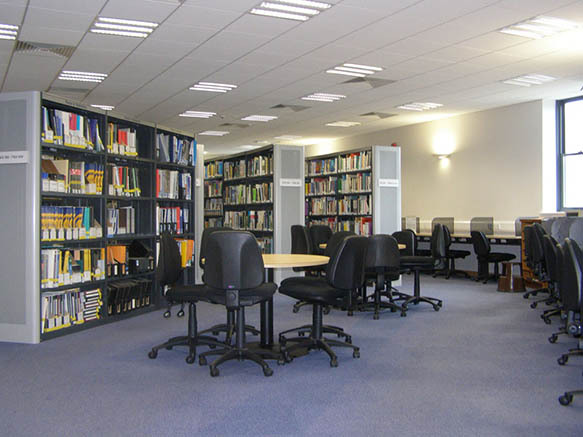 4.5 kilometres of shelving; a special collections room; wireless networking and 'blue'network points for access to e-resources from personal laptops; 6 study rooms; over 250 computers; social learning zones;IT Service Desk; Library, additional learning needs and study support; postgraduate study area; zones for silent study. 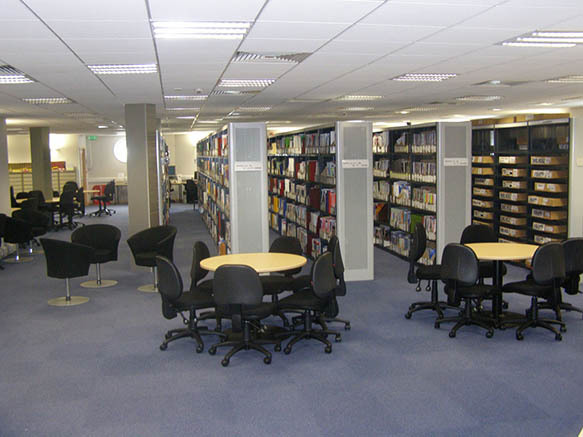 Landmark position set within courtyard with informal seating adjacent to a cafe. 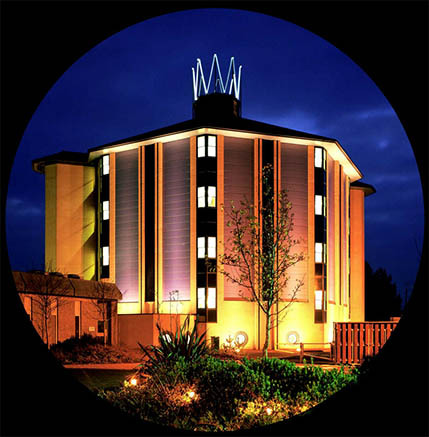 Floodlit at night with a fibreoptic sculpture at the pinnacle. 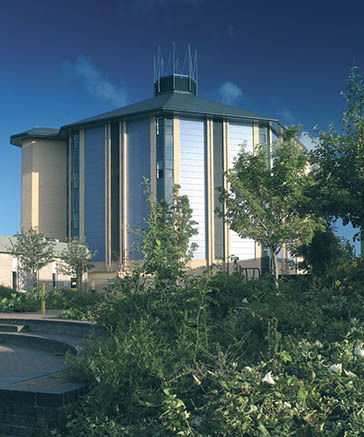 The building has an energy saving design with a natural ventilation system and angled windows to minimise solar gain and incorporates many features for those with special needs. 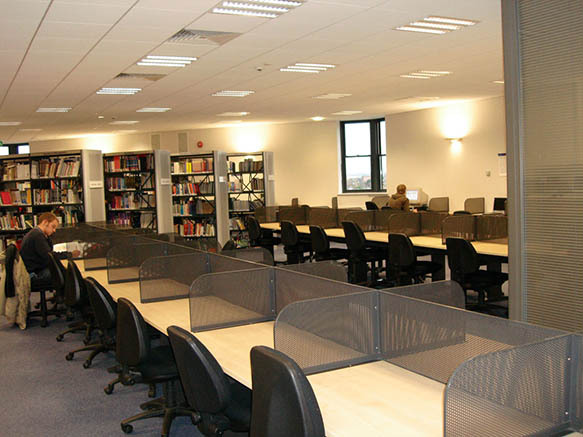 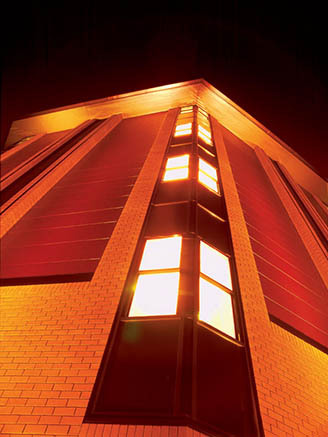 The refurbishment and new build appear as one building decorated throughout to the same high standards. 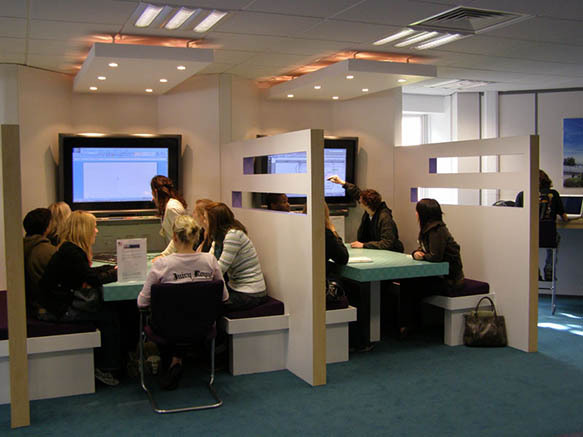 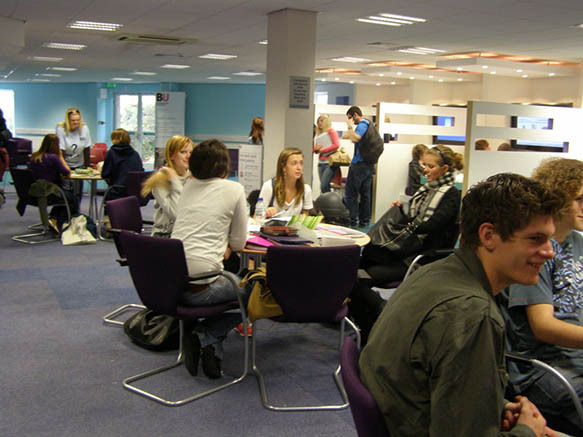 Ground floor enhancement summer 2008, Nightingale Associates as Designer and Morgan Ashurst as Contractor; Learning Spaces were completed in 2008 providing a greater variety of social learning spaces with 51 seats for social learning, 6 techno booths and digital signage.